This Empowered Patient column first appeared on CNN.com on February 14, 2008. ATLANTA, Georgia (CNN) -- A few years back, Amy went on a search for a new doctor. She had to. Her old doctor fired her. The search for a new doctor can have a lot of parallels to the search for just the right mate. Amy never dreamed her doctor would ditch her, but there she found herself, reading his certified letter giving her 30 days to find a new physician. After a few moments of soul searching -- Had she asked too many questions? Brought in one too many Internet printouts? -- Amy set out to find her perfect doctor match. "I was more than ticked off. I'd been with him for almost 10 years," says Amy (that's not her real name; because of the contentious nature of her relationship with her doctor she asked to use a pseudonym). "It was a lot of stress finding a new doctor I could trust." Breaking up, finding a new partner, hoping for the perfect match: Sound a lot like relationships? That's not a coincidence. Both involve trust, vulnerability, and seeing your most private body parts. "I consider the doctor-patient relationship to be as intimate as a life partnership," says Dr. Vicki Rackner, a professional patient advocate. "There are lots of nice people out there, but you would not want to marry most of them." Here from Amy, Rackner, and others is advice about how to find Dr. Right. "Just as you would 'do' coffee on a first date instead of a weekend together, so, too, go to the first appointment with a problem of a limited scope, like a mole or a thyroid check," Rackner advises. You can also go with no problem at all -- make an appointment to just chat with the doctor to get a feel whether you like him or her. Be aware, though, that as with dating, first impressions might be a bit rosy. " 'Meet the doctor' visits are nice, but everybody's on their best behavior, and there's no stress," says Dr. Michael Victoroff, another patient advocate. For a list of questions to ask on the first date, click here. If you Google a guy or gal you've started to date, Google a prospective new doctor, too. And why not go to MySpace and FaceBook -- you never know what you'll find. Even more important, there are loads of Web sites that keep objective information on doctors (sadly, these sites don't exist for dating!). 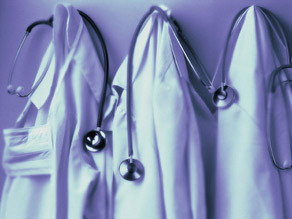 Check on training and board certification at the American Medical Association. Find out if they're board certified in a particular specialty by clicking here. Several Web sites (such as RateMDs.com and HealthGrades.com) also have doctor ratings -- make sure you find out what criteria they use. Remember, you're not just marrying the doctor. You're marrying the whole family, which for a doctor means the office staff. They're way more important than you might think. When you're feeling desperately ill, you're at their mercy to squeeze you into a packed schedule. "A great doctor who has a grouchy receptionist, rude nurse, careless assistant and obnoxious partner is going to frustrate you," Victoroff says. 4. Ask your friends to fix you up. But choose your friends carefully. If you're a Type A person who likes to ask lots of questions, asking your meek friend for a recommendation might end up in a mismatch. Choose someone who thinks more the way you do. This is perhaps the most important. It's perfectly OK to reject doctors simply because there's something about them that makes you feel a bit ill at ease. "I would suggest that patients actually like their provider," says Dr. Michael Woods, a surgeon who founded a group called Civility Mutual to help improve communication between patients and health care providers. "Patients should, after their first visit, have a sense of trust." After her "divorce," Amy found love again by following this advice. Her new doctor doesn't seem to be offended when she brings in information off the Internet or asks a lot of questions. "She seems to respect the fact that I have a lot of questions. She takes her time with me and isn't in a rush," Amy says. Here's a final hint from someone who literally wrote the book on finding a new doctor. Hal Alpiar, author of "Doctor Shopping: How to Choose the Right Doctor for You and Your Family," says think about what you're looking for in a doctor. For example, objective information is important for a surgeon ("Doctor, how many times have you performed gastric bypass surgery?") but bedside manner may be more important for an internist. "You're not going to find a doctor who has everything. Those are the Disney doctors," Alpiar says. "Real doctors aren't perfect." Elizabeth Cohen is a correspondent with CNN Medical News. Associate producer Sabriya Rice contributed to this report.